Riding the Tren a las Nubes train line, Argentina Location: Departing Salta, it connects the Argentine Northwest with the Chilean border in the Andes mountains. Fear factor: Initially built for economic reasons in the 1930s, Tren a la Nubes (also known as Train to the Clouds) now operates purely for tourists and those looking to conquer a fear of heights. As one of the world’s highest railways, this 16-hour, 430-kilometre-round trip chugs through farmland, squeezes through tunnels and climbs more than 4200 metres at La Polvorilla. 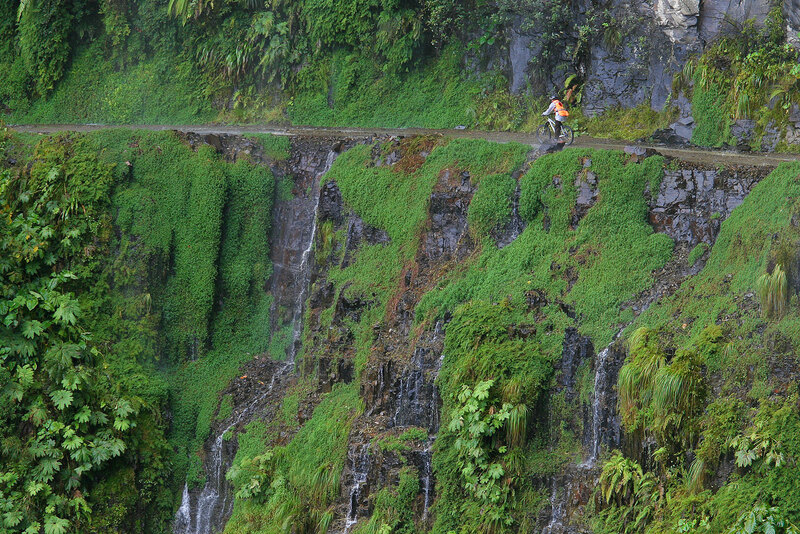 Cycling North Yungas Road, Bolivia Location: Between La Paz and the town of Coroico. Fear factor: Also known as Death Road, Road of Fate and widely regarded as the World’s Most Dangerous Road, there are few roads that can make daredevils quiver like North Yungas Road. Connecting the Amazon rainforest to Bolivia’s capital city La Paz, this single-lane road winds some 60-plus kilometres around dubious mountainsides, ascending to 4650 metres above sea level in places, then descending to 1200 metres. And if a 600-metre drop into rainforest below and zero guardrails doesn’t make you break a sweat, there’s also the possibility of thick fog, muddy conditions and rock falls, resulting in a shocking number of fatalities every year. Just pray you don’t meet much oncoming traffic. Flying into Courchevel Airport, France Location: In the French Alps near the Italian border. 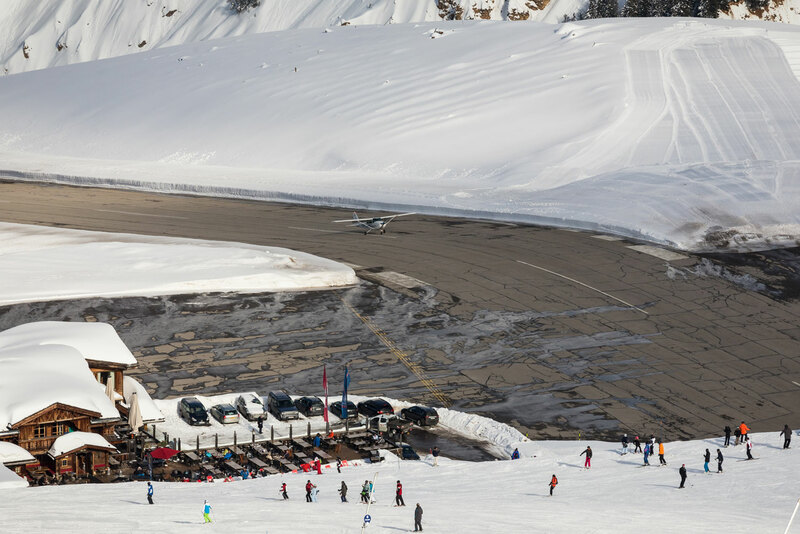 Fear factor: This ski resort altiport has made many a ‘world’s most dangerous airports’ list, positioned in the high heavens, amid a maze of snow-capped peaks. If the threat of crashing into a nearby peak wasn’t enough, there are also ski runs adjacent to the tarmac, making the runway is so short it had to be constructed with an incline to help slow incoming planes. As a result, only a handful of specially-trained pilots are qualified to fly into Courchevel Airport. Oh, and did we mention there’s no approach procedure or lighting aids here? Meaning landing in fog and low clouds is almost impossible. Hiking Mount Hua Shan, China Location: Near the city of Huayin in the Shaanxi province, about 120 kilometres east of Xi'an. 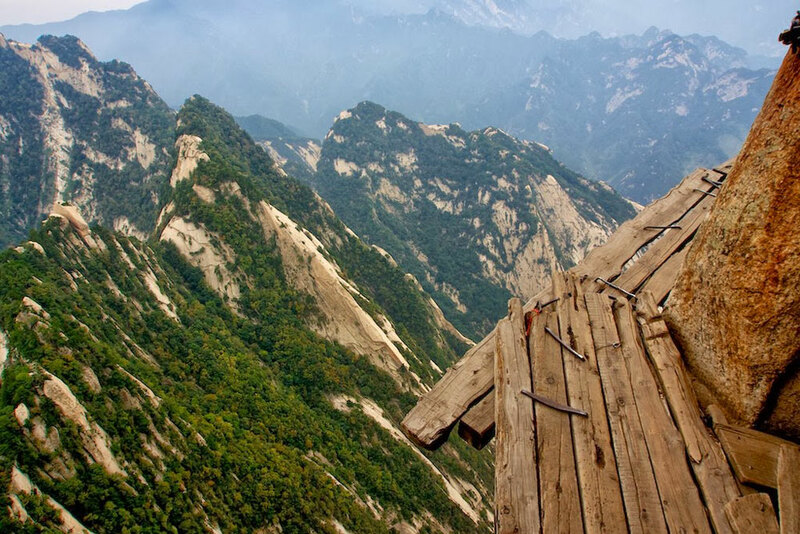 Fear factor: For centuries pilgrims have taken on Mount Hua Shan, climbing its five dangerously steep peaks to mountaintop temples. However it’s the South Mountain route that has trekkers shivering in their hiking boots. Soaring 2160 meters above sea level, South Mountain is both the highest peak of Mount Hua Shan, and the highest among the Five Sacred Mountains of China. The most nerve-wracking section of the trek is Plank Road, where you have to wobble your way up precarious 30-centimetre-wide wooden planks that have been bolted into the vertical mountainside. Our advice? Don’t look down! It’s a bottomless gulf below. 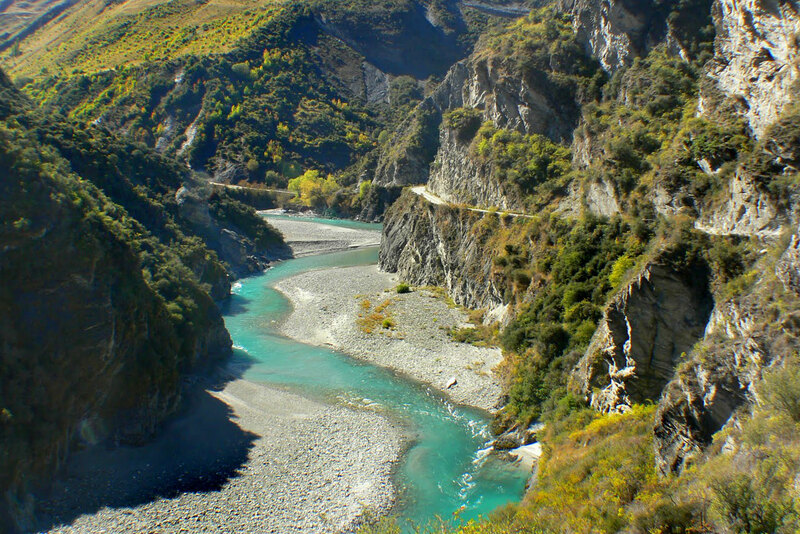 Driving Skippers Canyon Road, New Zealand Location: Queenstown Fear factor: Carved out of a sheer cliff face by hand by miners over 140 years ago, the waterfront views don’t make this bumpy drive any less daunting. If the narrow road, dubious bends and rocky drop below aren’t cause for concern, the local rock that this road cuts into is so soft that in dry weather it quickly becomes dusty and in wet conditions the road becomes covered in greasy mud. Needless to say, this is certainly not a drive for sight-seeing. Get a kick out of thrills, spills and life-threatening journeys? We have just the ticket – the world’s most frightening journeys to test the gamest of adrenalin junkies. Between La Paz and the town of Coroico. Also known as Death Road, Road of Fate and widely regarded as the World’s Most Dangerous Road, there are few roads that can make daredevils quiver like North Yungas Road. Connecting the Amazon rainforest to Bolivia’s capital city La Paz, this single-lane road winds some 60-plus kilometres around dubious mountainsides, ascending to 4650 metres above sea level in places, then descending to 1200 metres. And if a 600-metre drop into rainforest below and zero guardrails doesn’t make you break a sweat, there’s also the possibility of thick fog, muddy conditions and rock falls, resulting in a shocking number of fatalities every year. Just pray you don’t meet much oncoming traffic. In the French Alps near the Italian border. This ski resort altiport has made many a ‘world’s most dangerous airports’ list, positioned in the high heavens, amid a maze of snow-capped peaks. If the threat of crashing into a nearby peak wasn’t enough, there are also ski runs adjacent to the tarmac, making the runway is so short it had to be constructed with an incline to help slow incoming planes. As a result, only a handful of specially-trained pilots are qualified to fly into Courchevel Airport. Oh, and did we mention there’s no approach procedure or lighting aids here? Meaning landing in fog and low clouds is almost impossible. Near the city of Huayin in the Shaanxi province, about 120 kilometres east of Xi’an. For centuries pilgrims have taken on Mount Hua Shan, climbing its five dangerously steep peaks to mountaintop temples. However it’s the South Mountain route that has trekkers shivering in their hiking boots. Soaring 2160 meters above sea level, South Mountain is both the highest peak of Mount Hua Shan, and the highest among the Five Sacred Mountains of China. The most nerve-wracking section of the trek is Plank Road, where you have to wobble your way up precarious 30-centimetre-wide wooden planks that have been bolted into the vertical mountainside. Our advice? Don’t look down! It’s a bottomless gulf below. Departing Salta, it connects the Argentine Northwest with the Chilean border in the Andes mountains. 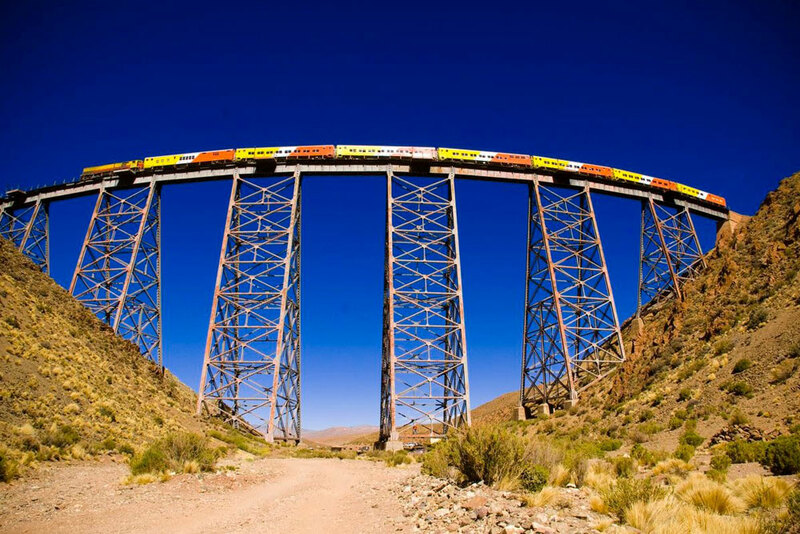 Initially built for economic reasons in the 1930s, Tren a la Nubes (also known as Train to the Clouds) now operates purely for tourists and those looking to conquer a fear of heights. As one of the world’s highest railways, this 16-hour, 430-kilometre-round trip chugs through farmland, squeezes through tunnels and climbs more than 4200 metres at La Polvorilla. Carved out of a sheer cliff face by hand by miners over 140 years ago, the waterfront views don’t make this bumpy drive any less daunting. If the narrow road, dubious bends and rocky drop below aren’t cause for concern, the local rock that this road cuts through is so soft that in dry weather it quickly becomes dusty and in wet conditions the road becomes covered in greasy mud. Needless to say, this is certainly not a drive for sight-seeing.